If you want to shorten up your form, this is a great way to start. 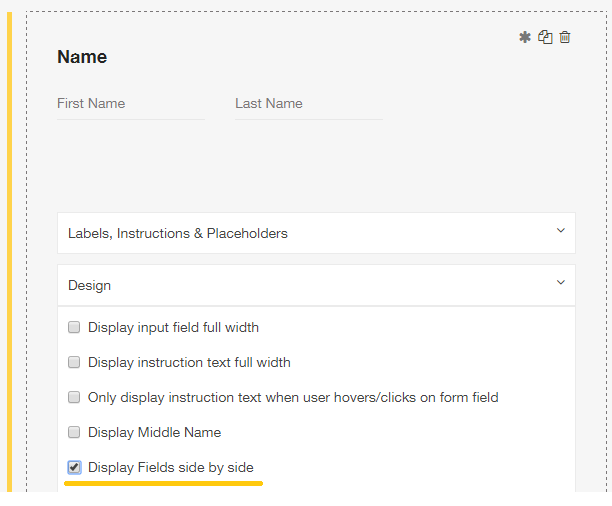 Head to your form (How to Access Form) and enter into the name field. The first and last name will now be on the same line.